The Delaware Natural Resources and Environmental Control Unit of Environmental Crimes has arrested and charged two men for an illegal fire that took place in Felton last week. 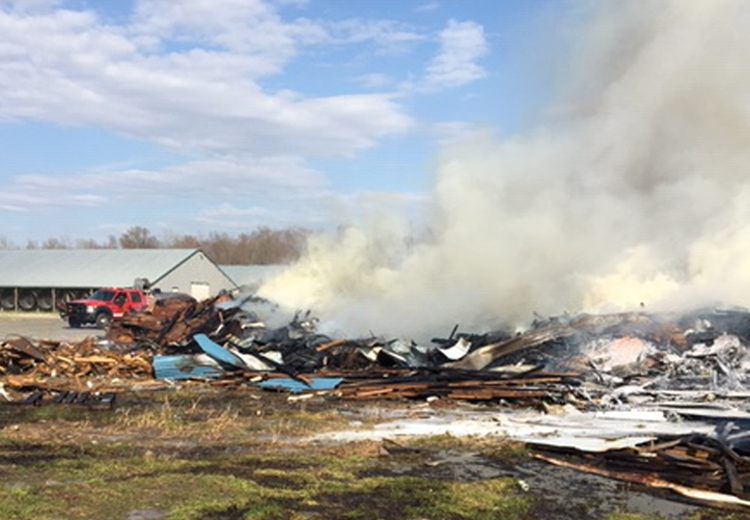 The blaze took place on April 4 at a farm in the Felton area on Sandtown Road. Fire companies from Felton, Harrington, Greensboro, MD. and Goldsboro, MD. all responded. Natural Resources Police Officers responded at the quest of the Felton Fire Company. 29-year-old Muhammad Iran and 33-year-old Muhammad Asim, both of Felton were cited at the scene for one count each for causing or allowing the illegal open burning of refuse, illegal open burning in the conduct of a salvage operation, failure to give prior notice to the local fire call board for open burning and unauthorized burning. Each charge carries a minimum fine of 100 dollars each.